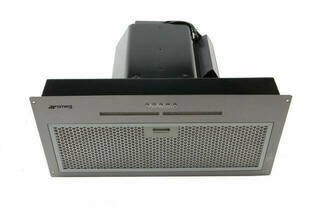 Snapshot: The Smeg SPUM60X is an undermount rangehood with controls underneath the hood. How well does it remove steam? Lights provide only OK visibility over the cooking area. Light units are sealed and no instructions on how to replace them. "The loudest rangehood I've ever heard"
24 Oct 2018, George P.
It seems to extract at an 'average' rate. You can barely hold a conversation while the fan is running on the lowest setting.